The Russian Foreign Ministry spokeswoman said such an approach was "shocking"
MOSCOW, September 13. /TASS/. 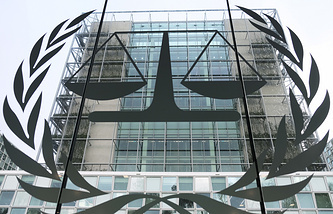 Washington’s threats to impose sanctions on the International Criminal Court (ICC) are nothing but an attempt to ensure the United States’ exemption from international law, Russian Foreign Ministry Spokeswoman Maria Zakharova said on Thursday. "The United Stated has made a number of bilateral relations with other countries, which say that US nationals cannot be handed over to the International Criminal Court," she said. "It means that the US has for a long time been recognizing international law only in case it is applied to other countries and their citizens. It reminds us of the idea of exceptionalism - like they are exempt from international law," Zakharova stressed. The Russian Foreign Ministry spokeswoman said such an approach was shocking and presumably ran counter to the international community’s interests. On September 10, US National Security Adviser John Bolton said that the US government would sanction the ICC and its personnel in case the court tries to prosecute US and Israeli citizens.